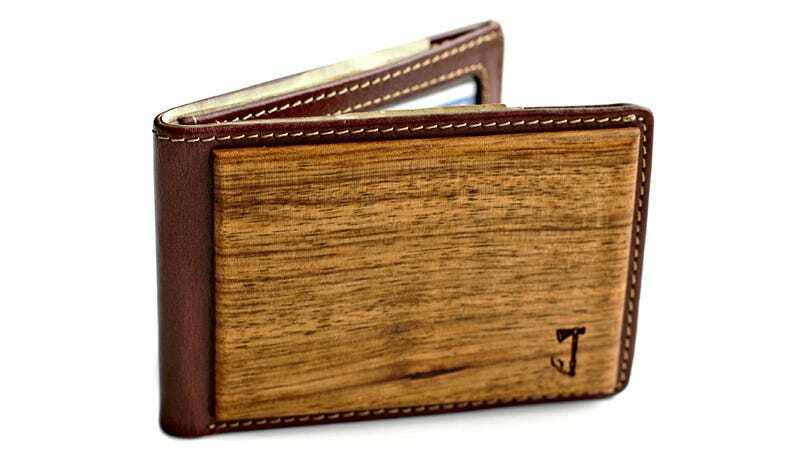 A wooden wallet sounds like just about the most uncomfortable thing you could slip into your pocket. But Slim Timber uses thin pieces of zebra and walnut woods as accents for its leather wallets, so they've still got some flex and bend to them. Available for just $45 each, the wallets can hold up to six cards—whether debit, credit, or ID—and a small stack of bills. So you'll have to keep your pocket change in a jar. It's just too bad you can't show the wallet off unless you're prepared for an unending run of awful 'wood in your pocket' jokes.